Fans of the Harry Potter movies will recognize the dining room at Hogwarts, but in real life, this is the Great Hall at Christ Church College, Oxford. We visited during matriculation, and here we saw students taking placement exams at the beginning of the new semester. The stairway to the Great Hall was actually closed to visitors due to exams taking place, but touring Oxford with a faculty member (thank you, Sam!) scored us exclusive access to a sight I'll always remember. 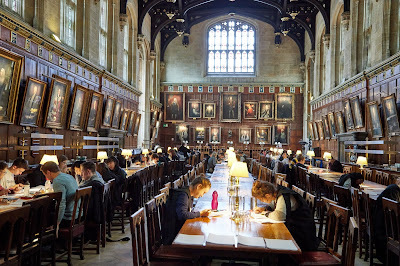 Bodleian Library is not to be missed if Oxford is in your plans. 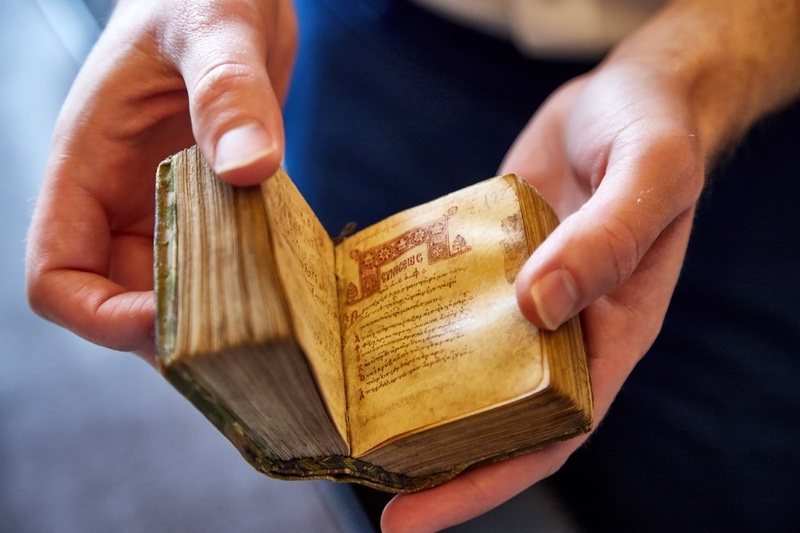 Its collection of rare books includes the hand-written Book of Psalms being held by the librarian. One thousand years old, this treasure predates the invention of the printing press. Other literary treats: an illuminated manuscript, the personal Bible of Queen Elizabeth I, and first editions of Newton's Principles and Darwin's The Origin of Species. A final postcard from Oxford... As we were walking through Christ Church College Cathedral, I happened to see the floor tile pictured below. 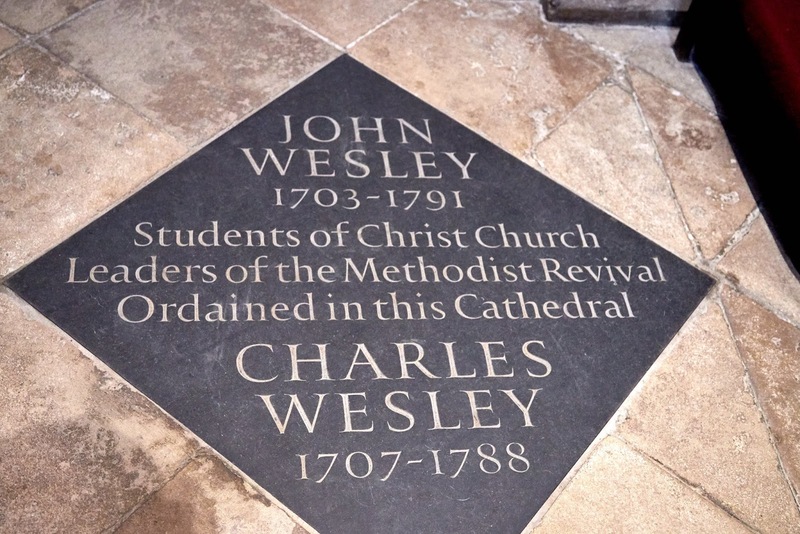 John and Charles Wesley were students at Christ Church College and were ordained in its cathedral, truly an historical landmark of the Methodist movement.